It Is Easily Attached To Carriages Or Strollers. Easily Attached To Carriages And Stroller. 2017 iSafe OPTIMUM Stroller - BOW Dots Design The Best Stroller In The W. 2017 iSafe OPTIMUM Stroller BOW Dots Design Stroller Travel Bag. Your Oyster 3 will still fold to a compact size with the ride-on board attached. Designed by BabyStyle for the Oyster 3 pushchair. 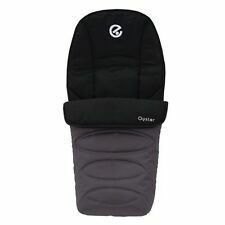 Oyster 3 Ride-On Board (Black) byBabyStyle is a wheeled board for your little child to "ride-on". NEW Stroller Board for Baby Style Oyster Buggy Pushchair Pram Ride on Step Pink Baby Travel Stroller Board For Oyster Pink Logo! Enjoy Life At Speed, With Your Children Happy And Safe. Very Easy To Attach To Your Oyster Stroller, The Ride-on Board Provides A Stand For Your Toddler To Have A Rest When They Get Tired. Uncut strap to fit Lascal buggy board with free friction tape. Fits Lascal buggy Board. 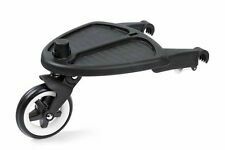 It can be attached to most pushchair chassis's and features an anti-slip foot board with a removable seat and steering wheel. Extendible and adjustable aluminium arms to fit most pushchairs. Universal connectors can be left on the stroller when the board isn't in use. ISafe SegBoard Buggy Board Sit Or Step Pram Board - Inca Complete With Saddle Seat PLUS An optional Buggy Pram Board for when toddlers legs get tired.The iSafe SegBoard has been designed especially for on the go. Universal Connector Kit byLascal for BuggyBoard Mini, Maxi & Maxi and is available to buy now fromBabythingz. Compatible with BuggyBoard Mini, Maxi and Maxi . 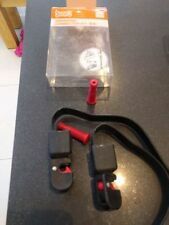 Complete kit with all the connector parts required and makes it easy to switch yourLascal BuggyBoard from one pushchair to another without any fuss. It Is Easily Attached To Carriages Or Strollers. 2017 iSafe OPTIMUM Stroller - BOW Dots Design The Best Stroller In The W. 2017 iSafe OPTIMUM Stroller BOW Dots Design Stroller Travel Bag. 2017 iSafe OPTIMUM Stroller BOW Dots Design Parent Console. You can lengthen or shorten the length of the arms and adjust the distribution of the arms to ensure a perfect fit for your stroller model. Does a younger child often fall asleep in a pram?. Need to tilt the backrest to allow him to sleep comfortably?. 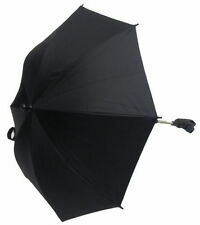 It extends the handle of your pushchair to enable you to push your pushchair keeping a comfortable stride when walking. 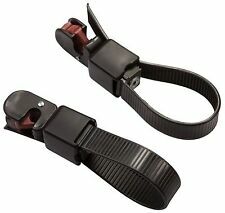 Attaches easily to your pushchair handle bar. Not having to lean over your child when the board is attached will help to alleviate back ache. Lascal Buggy Board Mini, used, in original box, good condition . Condition is Used. Dispatched with Royal Mail 2nd Class. Simply Fantastic! Superior Step On Stroller Board, Fits On Mamas And Papas Armadillo. Maximum Weight Limit: 22kg ride on board, buggy board, pram board, step on. modd, buzz xtra, zapp, pram boad, bugy step. Simply Fantastic! Superior Step On Stroller Board, Fits On Quinny Buzz Stroller. oyster board, oyster max board, quinny buzz. obaby ride on, quincy, quinny moodd, mod. Maximum Weight Limit: 22kg ride on board, buggy board, pram board, step on. The Lascal Buggy Board Universal connector kit is the ideal accessory if you need to use your Buggy Board with a second pram or buggy. Compatible with both the Maxi and Mini Buggy Boards. Each connector kit contains a pair of strap connectors and pins. Bugaboo Comfort Wheeled Board with seat Comes with boxed Adaptors for Bugaboo Cameleon In Excellent Condition only used for a few months (adaptors stickers have peeled half off) Bought approximately Jan 2018 from Mothercare Boxed with all instructions Smoke free and pet free home . ISafe SegBoard Buggy Board Sit Or Step Pram Board - Splash Complete With Saddle Seat PLUS An optional Buggy Pram Board for when toddlers legs get tired.The iSafe SegBoard has been designed especially for on the go. Description: This brilliant board can be easily attached to the back of your pushchair and gives your toddler a place to sit or stand. The board features suspension, for a bump-free stroll, and when not in use it can be pushed up out of the way, or simply detached. 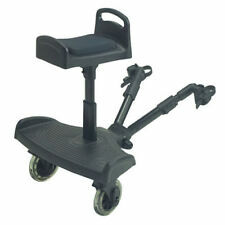 It can be used for children aged 3-7 and has ridges for traction so your child can sit safely. 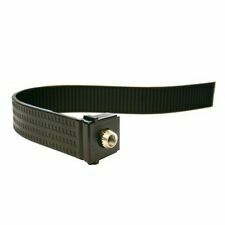 Features: Universal connector has endless adjustment position Simple, quick and easy adjustment No tools or extra adapters required Suitable for 3-7 years' children Load capacity up to 25kg Note: 1. Do not use on rough roads and slopes 2. You need to install it 3. Not suitable for yoyo/yuyu/vovo. 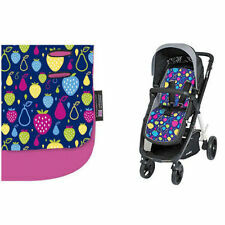 Specifications: Material: PP Plastic Color: Blue Size: 35*26cm/13.65*10.14 inch Package Includes: 1 x Stroller Board. 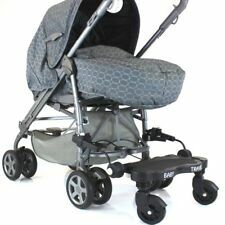 Bugaboo comfort wheeled buggy board in great used condition. Baby Health & Hygiene. Soft toys & Baby comforters. Baby Walkers & Ride On`s. 4 Wheel Pushchairs & Buggies. 4 Wheel Travel Systems. Scottish Highlands and Islands - AB36-38, AB55-56, FK17-99. G83, HS1-9, IV1-28, IV33-56, IV63, KA27-28, KW1 -17, PA20-49, PA60-78, PH18-26, PH30-44, PH49-50, ZE1-3 Northern Ireland (BT1-99) Isle of Man (IM1-99) Scilly Isles (TR21-25) ﻿Republic of Ireland Guernsey (GY1-99) Jersey (JE1-99). Buggy Board Maxi Lascal Connectors Included Toddler Stand For Pram Buggy. Condition is Used. Dispatched with Hermes Tracked. 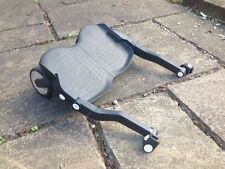 Bugaboo Comfort Wheeled Buggy Board Seat With bee or donkey/buffalo Adapters. Please note that the seat has been vinyled black to match the black chassis pushchairs and can be taken off so it’s the original aluminum. Condition is Used. 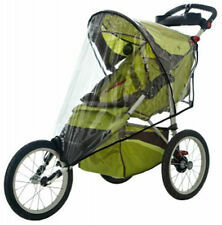 Adaptable to most buggies for children. 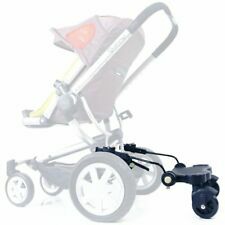 - Easy to install on the chassis of the stroller. The chair can be easily removed when not in use and folds flat platform. - The platform can be fold flat when not in use. 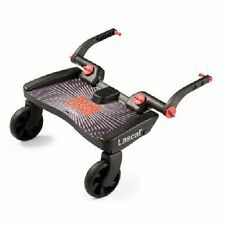 Lascal Universal Buggy Board Kiddys In Motion. 100% complete, in good condition with minor signs of use. Please see pictures for full details. (ISafe SegBoard Sit Or Step Pram Board - Inca Baby Travel Buggy Stroller Board Luxury Isafe Segboard Step Sit Is A High Quality Stroller Pram Board - Fully Universal Super Easy To Attach & Detach, Wide & High Construction Allows Ease Of Use Large Rubber Wheels With Suspension, Superbly Easy To Steer And Robust Costruction No Tools Required, Can Be Fitted To Any Stroller Pram Or Buggy In Less Than 5 Minutes , After You Read And Understand The Instructions :).